To apply for this scholarship, please fill out this form and return it to the Department of Political Science by March 1st, 2018.The Steven C. Poe Scholarship honors the memory of the late Professor Steve Poe, a world-renowned expert in human rights and dedicated teacher. Will have completed 18 graduate hours in political science at the University of North Texas with a GPA of at least 3.75. Awards will normally be made for at least $1,000 for a period of 2-3 years, depending on student performance and availability of funds. Preference will be given to entering students (students must have earned no more than 9 SCH credits at the graduate level) in either the Master's or PhD program in political science. Recipients should meet minimum academic standards of the Department of Political Science, maintain full-time enrollment at the University, unless they have fewer than twice the number of semester hours required to be full-time remaining in their degree program, and enroll as a full-time student in Political Science at the University, with the intention of focusing on Peace Studies; in the event no applicant possesses this characteristic, then students enrolling full-time in Political Science at the University will be eligible for consideration. To apply for a Peace Studies scholarship, print out a copy of the Peace Studies Scholarship Application and return the completed packet to Dr. David Mason in Wooten Hall, Room 130. This scholarship is available to new doctoral and master's students for the first year of study with a possible 1 year renewal. Recipients of this competitive scholarship receive $1000 per academic year- $500 in the Fall and $500 in the Spring and may be eligible for in-state tuition rates. Learn more and apply here. This scholarship is available to eligible doctoral students who demonstrate academic excellence. Recipients receive $1,000 per academic year - $500 in the Fall and $500 in the Spring - and may be eligible for in-state tuition rates. 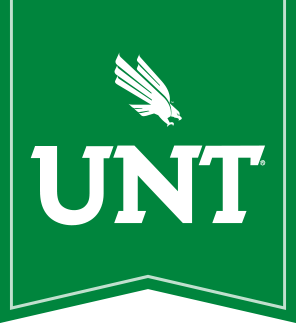 Students must provide proof of academic support of $10,000 or more from an institution outside of UNT to be considered for the award. Learn more and apply here.